Since I saw the hovering White-tailed kite in the sky last weekend, it seemed I could never shake the angst caused by the urge for more interaction with this creature. 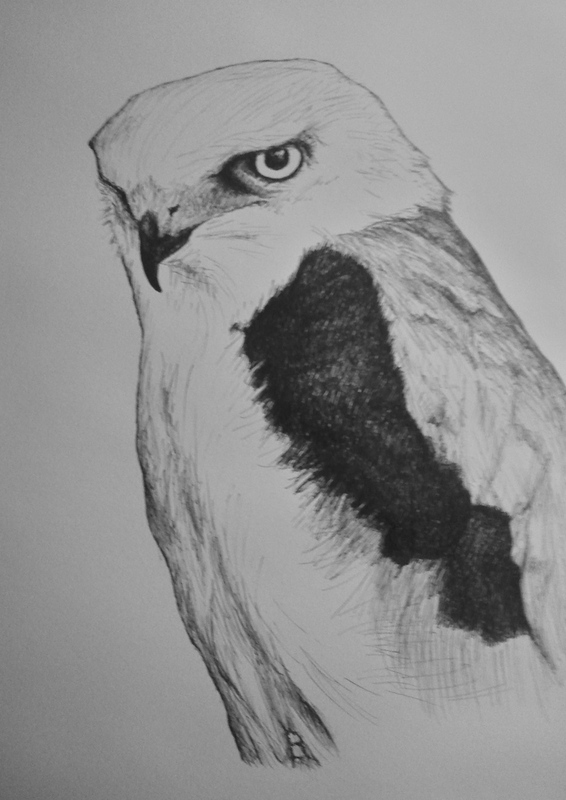 With the first bit of free time in my day today, I sat and sketched the bird. This has satisfied my itch for the time being, but rest assured there will be plenty more illustrations and photos to come. I will soon search for the White-tailed Kite once more, and the reports will follow.